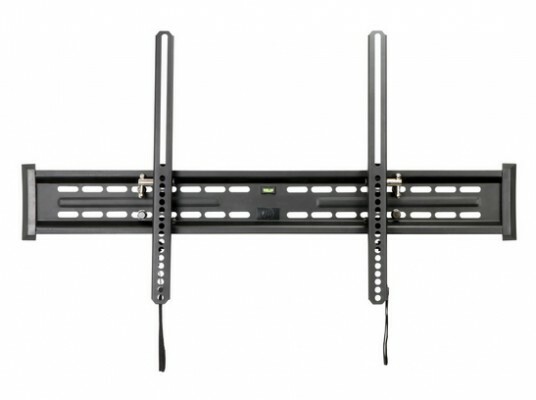 The heavy-duty V7 Tilt Wall Mount that can accommodate TVs up to 90â€ and a whopping 175 lbs., yet is slim enough to keep the display merely 1.75â€ from the wall. It features an integrated bubble level to make installation quick and easy, and comes with all the necessary mounting hardware. The mount has locking vertical rails to keep the TV secure, and boasts high-grade steel construction. The V7 Tilt Wall Mount is built to last, and backed by a 5-year warranty.